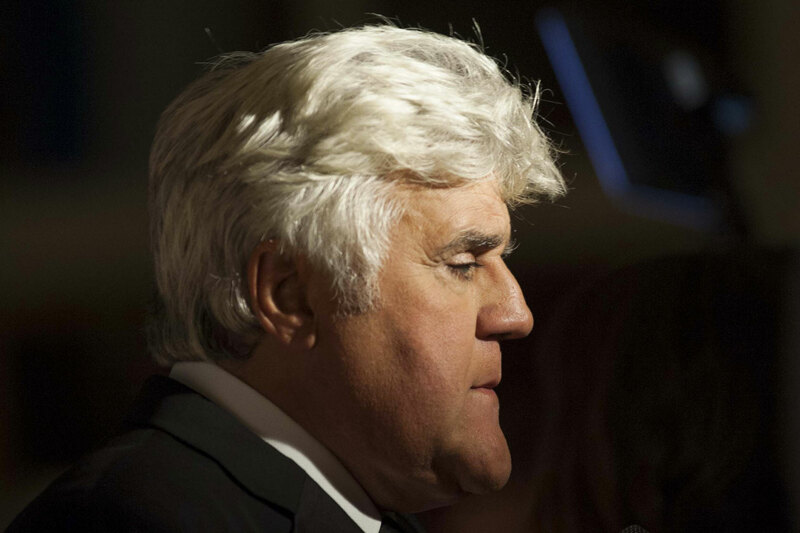 Why Is Jay Leno Flacking for the Gun Lobby? Violence-prevention groups are urging the comedian to cancel an appearance at an upcoming industry trade show. UPDATE: Jay Leno has announced that he has cancelled his scheduled speech to the National Shooting Sports Foundation’s 2015 SHOT Show in Las Vegas. Leno told Po Murray of the Newtown Action Alliance (who is quoted in the article below) that he was unaware that the NSSF was a pro-gun lobbying group. Ironically, the NSSF is headquartered in Newtown, Connecticut, only three miles from Sandy Hook Elementary School, where six adults and 20 first-grade children were killed in a mass shooting in December 2012. The Newtown Action Alliance, the Coalition to Stop Gun Violence, and the Campaign to Unload are circulating an online petition asking Leno to cancel his SHOT Show appearance. Murray said her group is going to invite Leno to come to the national vigil for victims of gun violence at the Washington National Cathedral on December 11. The NSSF has opposed all attempts to strengthen U.S. gun laws to prevent future tragedies. NSSF president Steve Sanetti even accused Newtown survivors who have advocated for tougher gun laws of reacting irrationally because they are “angry” and “fearful.” The association has accused gun violence prevention advocates of “seeking to destroy the Second Amendment” and lobbied against even the most modest proposals, such as universal background checks for all gun sales, a reform which is supported by 92 percent of gun owners nationally. According to a 2012 report by the Sunlight Foundation, NSSF has given more than $700,000 in campaign contributions. According to the Center for Responsive Politics, NSSF spent $2.39 million in lobbying in 2014 so far. The group works closely with the National Rifle Association (NRA). Like the NRA, NSSF’s board includes many representatives of the gun industry. Steve Sanetti, NSSF’s president since 2008, is former president of Sturm, Ruger & Co, one of the nation’s largest gun manufacturers. The chairman of NSSF’s board is Robert L. Scott, the vice chairman of Smith & Wesson, another major gun maker. Gun violence prevention advocates have long viewed the NSSF, along with the NRA, as major obstacles to gun reform. Last April, about 100 victims and survivors of gun violence and other advocates protested the corporate gun lobby’s obstruction of sensible gun laws, such as expanded background checks, outside NSSF’s annual Congressional Fly-In fundraising dinner in Washington, D.C. In the past, Leno has refused to speak to groups whose values and practices he disagrees with. In 2000, Leno was scheduled to appear at the Society of Human Resource Management’s (SHRM) annual convention in Las Vegas when he learned that one of the most notorious union-busting law firms in the country—Jackson, Lewis—was getting paid to make two “How to Stay Union Free” presentations at the conference. Leno courageously announced that he’d refuse to appear at the SHRM event unless it booted Jackson, Lewis off its agenda. Rather than lose Leno, SHRM cancelled the conference’s union-busting seminar. This was quite a coup, considering that SHRM’s chairman, Michael J. Lotito, was a partner at Jackson, Lewis. At the time, Leno’s union, the American Federation of Television and Radio Artists (AFTRA) noted that Leno had always been a “stand-up guy” on union issues. The Newtown Action Alliance, the Coalition to Stop Gun Violence, and the Campaign to Unload are hoping that Leno will also be a “stand-up guy” on gun-violence issues and cancel his appearance at the SHOT Show.